Grade II Listed. Superb terracotta craftsmanship outside and inside. Outstanding terracotta reredos altarpiece with large plaque of ‘The Last Supper’ by Jabez Thompson; beautiful terracotta base to the font; fine Minton tiles to altar area. Narrow stained glass windows – one by Trena Cox. An excellent example of Victorian engineering. Free Top of the World Tour is a unique opportunity to be guided around the Anderton Boat Lift and see it as lift operators have since Victorian times. 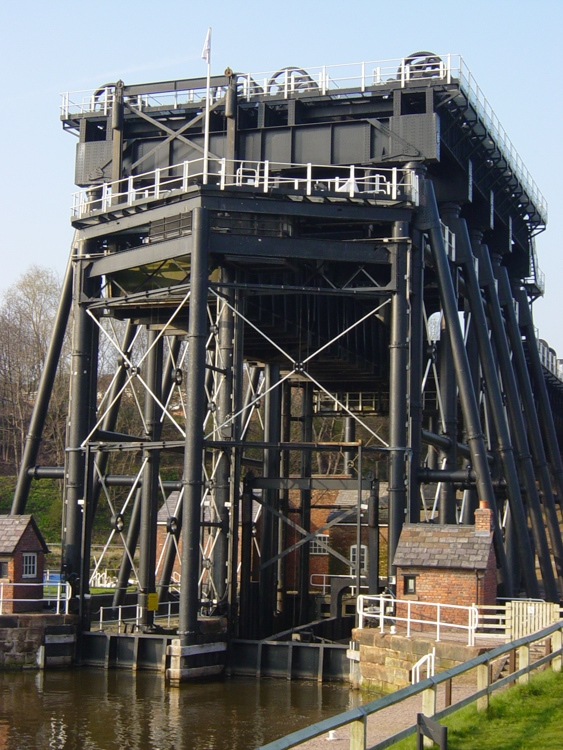 Learn about the history of the Boat Lift from its opening in 1875 until the present day. Walking tour involves heights. Suitable for age 15 and over. Booking essential. Please telephone the Anderton Boat Lift on 01606 723887. 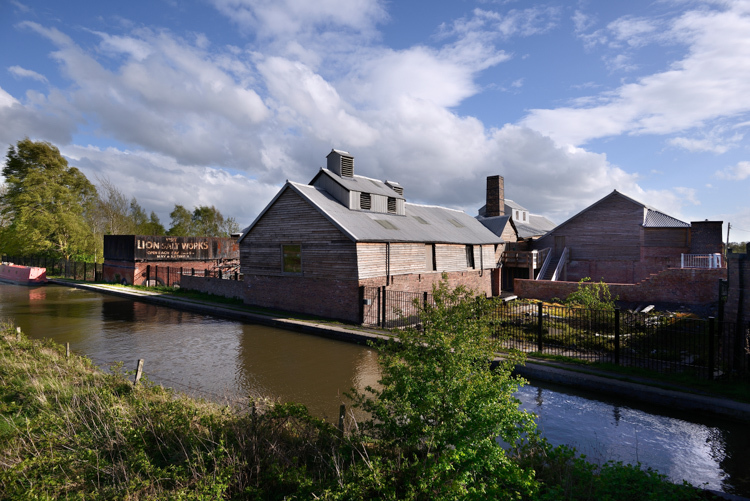 Lion Salt works has undergone an astonishing restoration, funded by HLF. It tells the stories of brine salt production, the people who worked in the area and the impact of Salt on Northwich. Free admission and taster tours at regular intervals on Saturday 15, please drop-in and book on day. 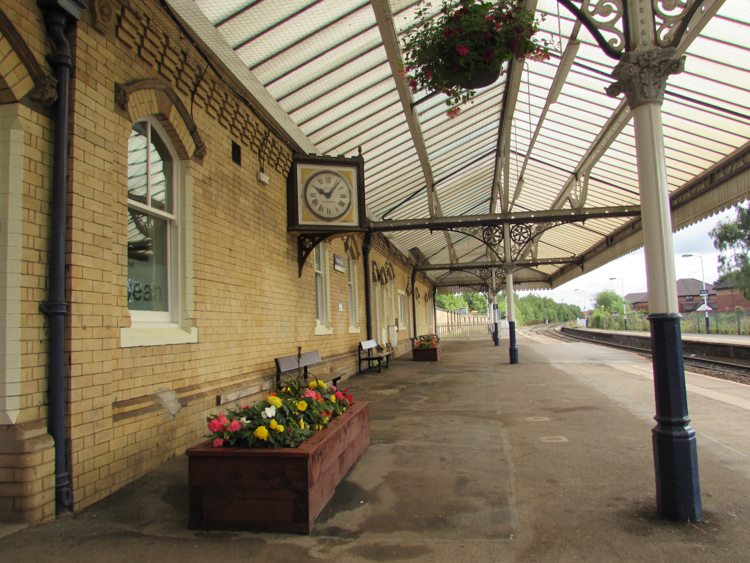 Distinctive yellow brick station building on the Mid Cheshire line. The line opened on 1 January 1863 but the station building dates from 1897. Drop in short informal historic tours on Thursday 13. No booking required. 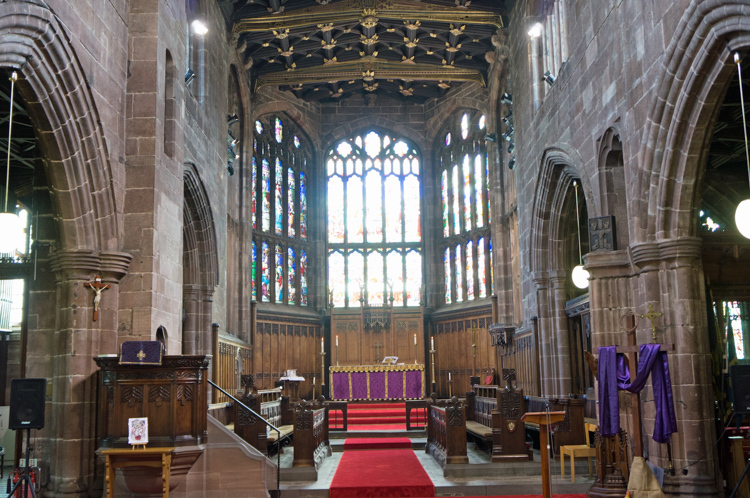 Grade I listed, from 1350. 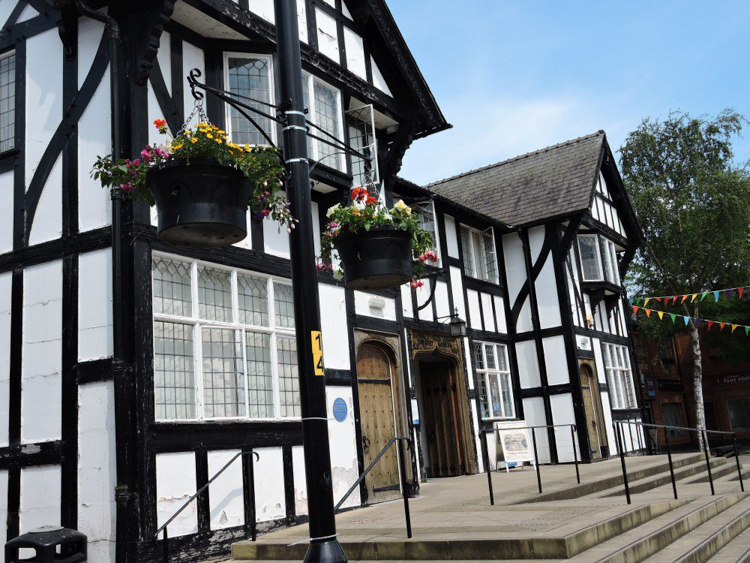 “Oldest and most beautiful building in Northwich”: Pevsner. Magnificent oak panelled roof with carved and gilded bosses; stained glass windows by Kempe, Wailes and Gibbs; 1516 Tudor carving. Short informal tours take place regularly. Just drop in. Volunteers available for historic information. Weather permitting, tours up the tower will be arranged. Many steps. Disabled parking only in church grounds. On street parking nearby. Toilets available but not wheelchair accessible. 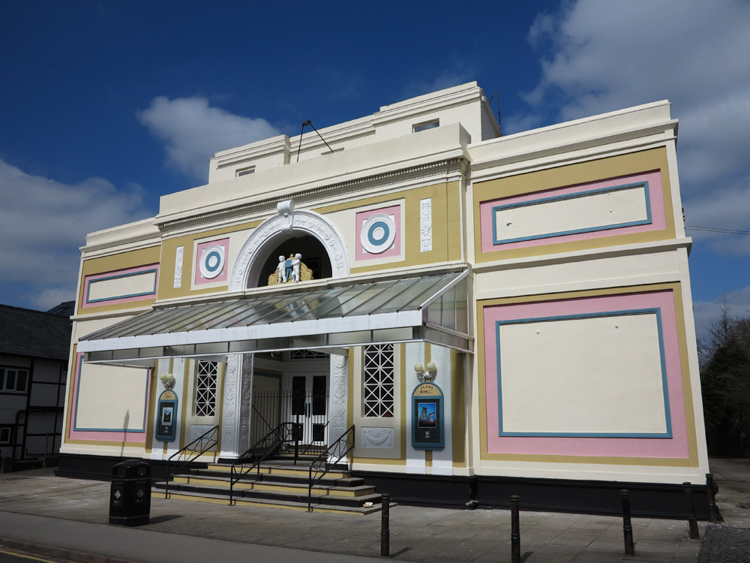 Grade II listed neoclassical style 1928 cinema. Cinema closed in the 1960s; became a bingo hall until finally closing in 2011. Visitors restricted to foyer, bar area and auditorium. There will be an exhibition of the Mid Cheshire Line’s ‘Marvellous Days Out’ railway posters. The Cheshire Guild of Woodturners will have a sales table. There will also be original artwork for sale. Partially accessible. There are steps to the front entrance – assistance can be provided for wheelchairs. The iconic library building is Grade II listed. 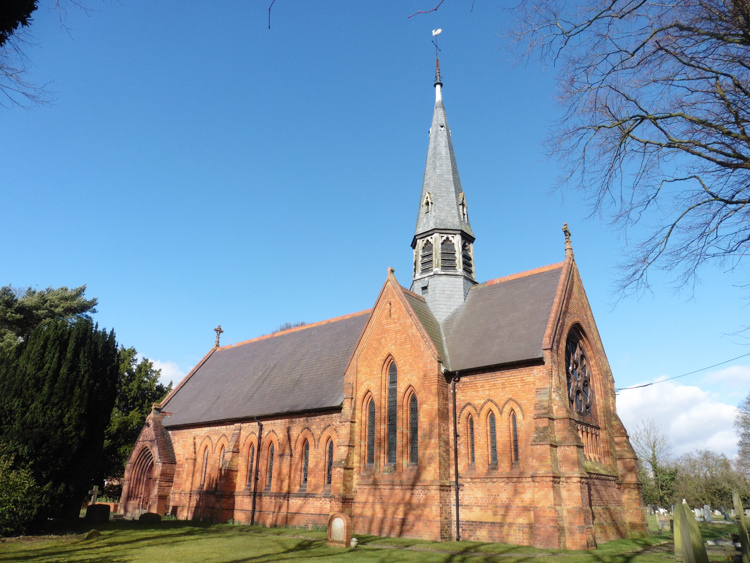 It was donated to the town by Sir John Brunner, former MP for Northwich. It opened September 23 1909. Library tours. Crafts. Visitors are invited to attend a tour (audio version available) and learn about the history of the building. Tours will last approximately half an hour. Booking essential for tours on 01606 275646. Access ramps available of low gradient at entrance and inside. On Saturday 15 there will be children’s activities. 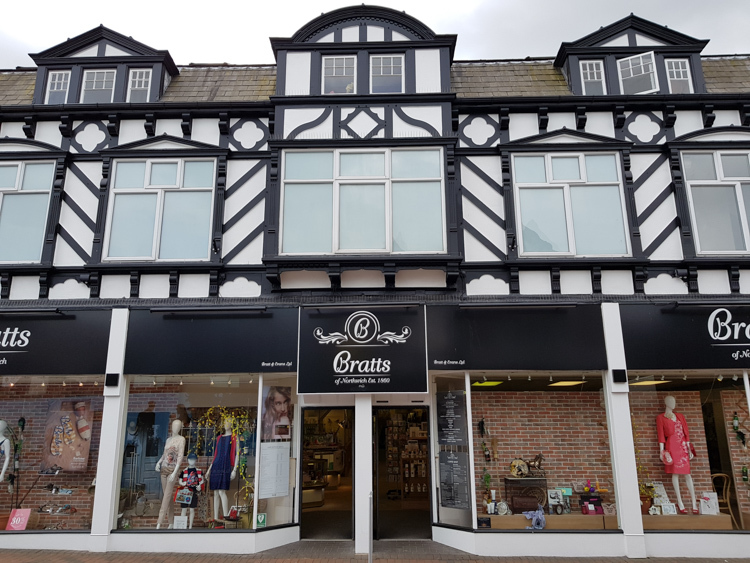 Bratts in Northwich is one of a few family owned department stores left in the country. Founded in 1860 by Henry Bratt on approximately the present site and called H. Bratt & Son. Later Henry took his fabric buyer, Jack Evans, into partnership and the business was renamed Bratt & Evans. John Arthur Gray purchased the business in 1928 and it is still owned by the Gray family. There will be a visual exhibition of Bratts through the years. Fully accessible: ramp and lift. Black and white timber framed building next to the River Dane. It was completely refurbished and lifted several feet, by the present owners in the 1980s. 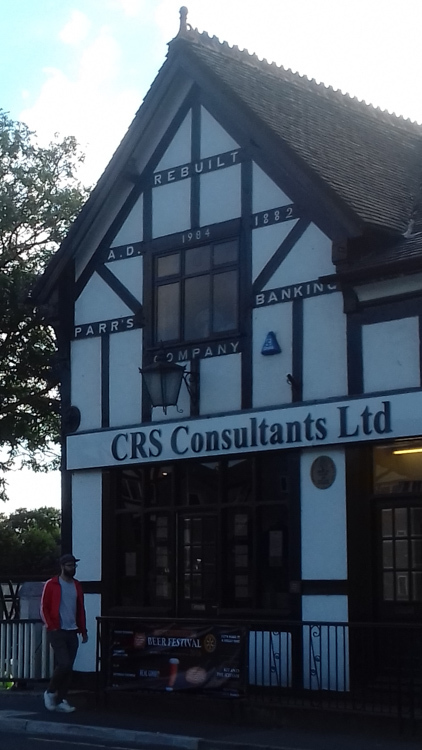 A film and commentary on “The Raising of the Parrs Bank Buildings”. Booking essential. Tel: 01606 288815. Partially accessible, there is a small step. 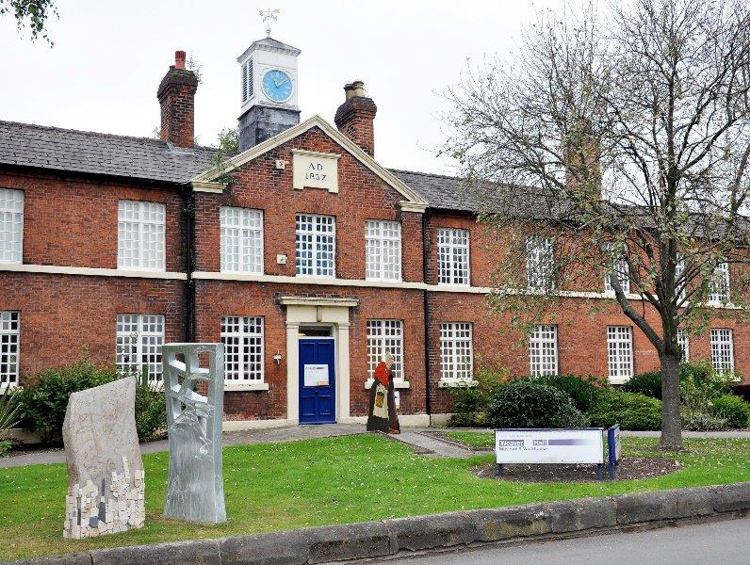 The building is the old Northwich Union Workhouse, Grade II listed, built 1837 -39. Displays explore workhouse life, local history and archaeology. The Board of Guardians meeting room is open to view. Free admission on Saturday only. Fully accessible. Lift to first floor. Free parking. A six mile figure of eight walk around the Northwich woodlands linking the Anderton Boat Lift and the Lion Salt Works. Looking at the impact of the salt industry on this beautiful 1,000 acre park. Good paths and tracks on mostly level ground. Booking is essential on 01606 288815. 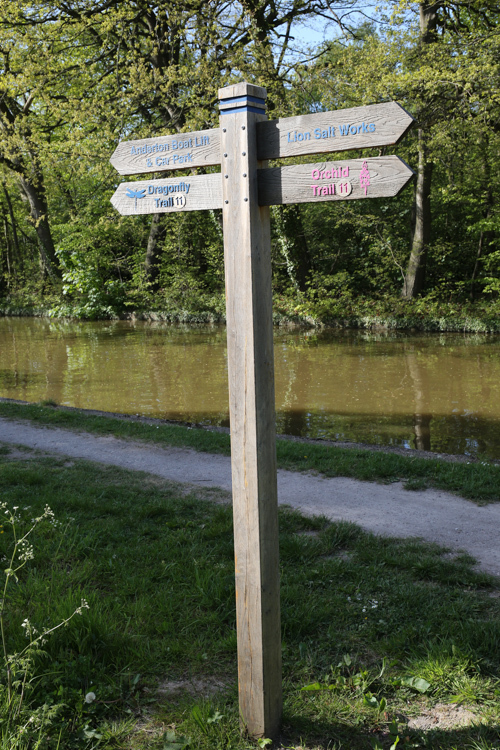 Please note the walk is free but there is a charge for parking at Anderton Nature Park. Meet by ticket machine please. 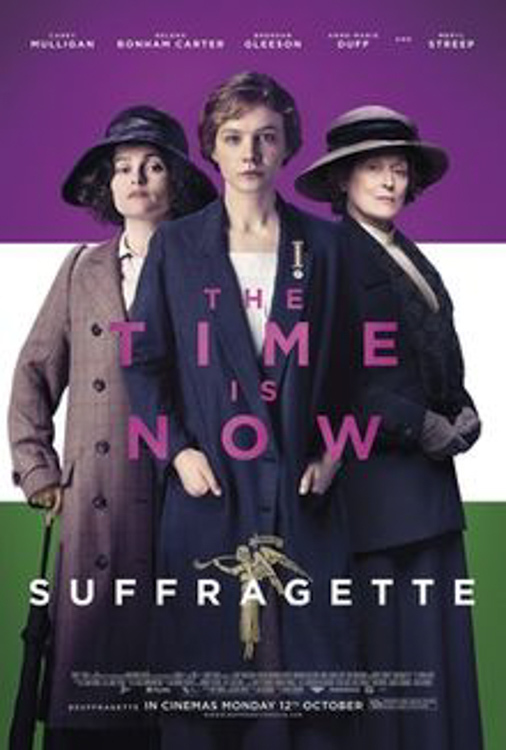 The Townscape Heritage Project for Northwich is hosting the award winning 2015 film Suffragette for Heritage Open Days theme of Extraordinary Women. In early 20th century Britain, the growing suffragette movement changes forever the life of working wife and mother Maud Watts. Free admission but booking essential on 01606 271640. 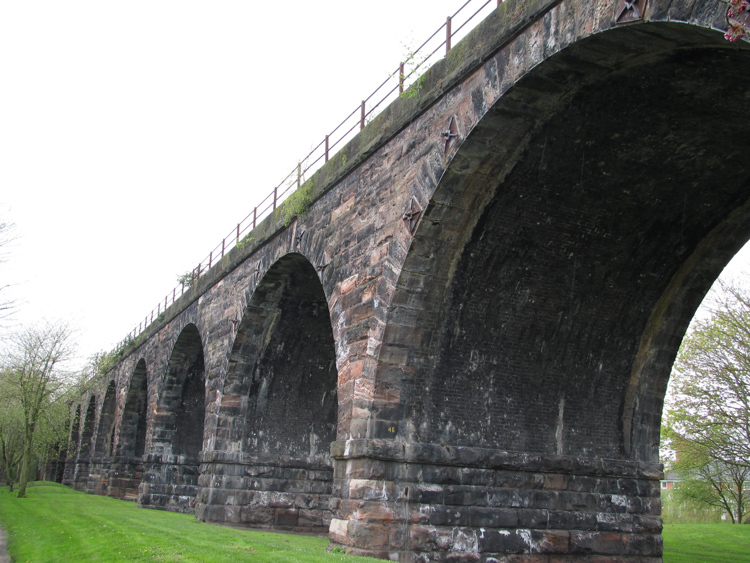 Take a guided circular rail walk from Northwich Station, approximately 2.5 miles. From the station, through the park, by the river (see the metal sculptures), pass the viaduct, by the church and back to the station. Passing many historical buildings. Booking is essential. Please telephone 07736 523863 or email railofficer@midcheshirerail.org.uk. Meet at ticket office. 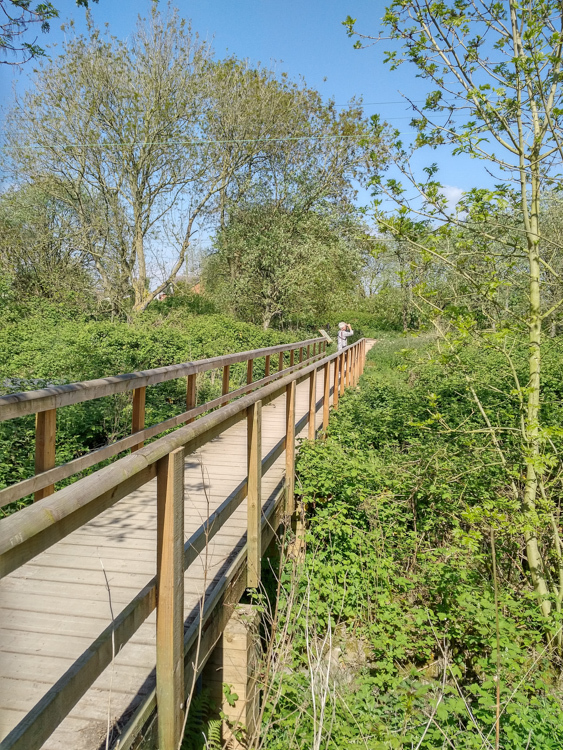 A six kilometre (3.5 mile) walk in Northwich woodlands following part of the Saltscape Trail, highlighting the impact of the salt industry on the landscape. Good paths and tracks on mostly level ground. Booking is essential on 01606 288815. Please note the walk is free but there is a charge for parking at Anderton Nature Park. Meet by ticket machine please. 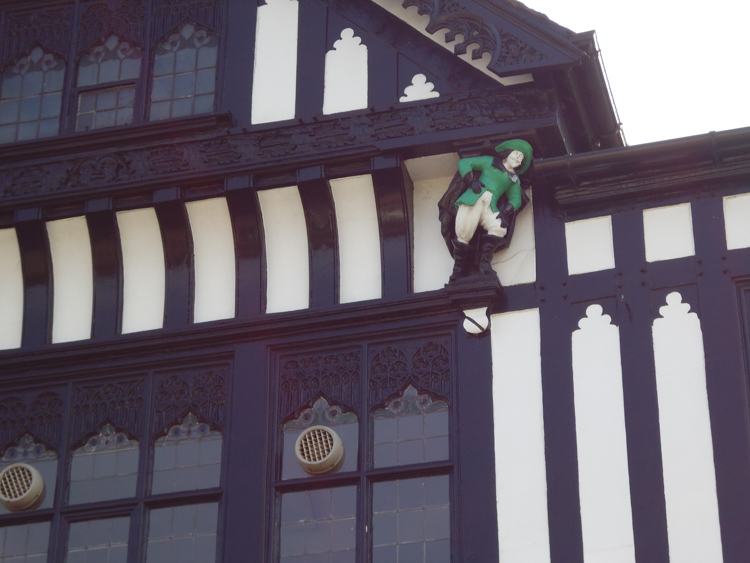 A guided walking tour of the unique timber-framed buildings of Northwich, including their history and stories about the town. Walk starting from raised plinth by Swetenhams Estate Agents. Walk is on town pavements. Booking essential on 01606 288815.